Wickham Laboratories is pleased to introduce the Monocyte Activation Test (MAT) as the latest addition to its portfolio of in vitro alternatives to in vivo testing methods. 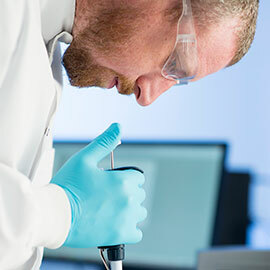 Wickham Laboratories is pleased to announce the introduction of a new in vitro test method, the Monocyte Activation Test, for the assessment of pyrogenicity of pharmaceutical products and medical devices. The MAT is a non-animal alternative to the traditional rabbit pyrogen test and we are pleased to have introduced it as part of our commitment to the reduction, refinement, and replacement of animal testing. 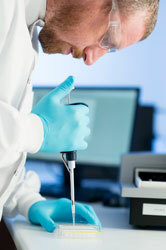 Following the European Pharmacopoeia, any new product or device submitted for the MAT testing will be subjected to preparatory testing (product specific validation) – our experienced scientists will establish the suitability of the MAT method for each product, work on the development of an appropriate method and conduct a GMP product specific validation. Please get in touch today at +44 (0)1329 226600 or [email protected] to discuss product specific validation for your pyrogen testing requirements.